The IPSA Journal is an opportunity to publish articles about leadership issues and best practices relevant to public safety. Our readers represent the entire public safety community: law enforcement, fire service, EMS, telecommunications, public works (water, sanitation, and transportation), public health, hospitals, security, private sector, and emergency management. Are you interested in being a Peer Reviewer? The IPSA is accepts applicatons on a rolling basis. The IPSA is accepting manuscripts for publication consideration. All topics will be considered. All articles submitted and approved for publication will become the property of IPSA. 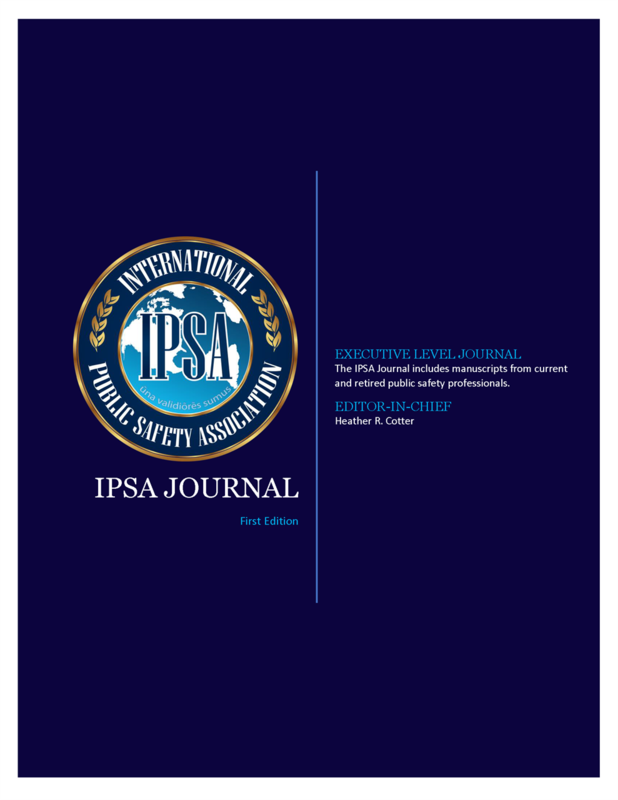 The Fourth Edition of the IPSA Journal will be published in the Summer of 2019. All authors must download and review our Manuscript Guidelines. All authors must use the IPSA Journal Template. Email submisisions to info@joinipsa.org for publication consideration.